Am I skeptical of the skeptics? I may be skeptical about a lot of things, but shouldn't I also be skeptical of skepticism itself? Yeah, I am. Duh. We should be skeptical about everything. Skepticism, at least the way I mean it, is not the same as doubting. What kind of position would that be if I doubted everything? Not only would I doubt psychic predictions, I would also have to doubt the impossibility of psychic powers. Not only would I doubt the link between the MMR vaccine and autism, I would also have to doubt the safety of vaccines. Not only would I doubt the 9/11 truth movement, I would also doubt that terrorists attacked the World Trade Center without any help from our government. What kind of self-defeating position is this? But of course, I do doubt all these things. But doubt is only where skepticism begins. Following initial doubt, we carefully evaluate these claims in order to determine exactly how much doubt is warranted. It is not always the case that the public doubts too little. It is just as often the case that the public doubts too much. And why might this be the case? One common reason is that people are not aware of or undervalue scientific evidence. A good skeptic realizes that a well-conducted scientific study can be worth more than a thousand heart-wrenching anecdotes. And an established scientific theory is supported by many such scientific studies. I doubt scientific theories too, but only as much as is warranted, which is not a whole lot. So when I say I am skeptical of skepticism, this does not mean that I have serious doubts about it. It means that I have initial doubts, which I have evaluated and given careful consideration. And yes, some doubt is warranted towards skeptics. Skeptics will make mistakes and missteps. They can accidentally mine quotes. They can disagree about the sources of superstitions. They can make straw men of their opponents. They are human. But the basics of the skeptical method, those are sound. There is a party with five couples. There is much handshaking at the beginning of the party. No one shakes hand with their own partner, and no one shakes hands twice with the same person. Later, the host, Martin, asks everyone how many times they shook hands. All of the other nine people remembered exactly how many times, and answered him. Each of the nine answers was a different number! How many handshakes did Martin himself have at the party? This one was first solved by Secret Squïrrel. So now we can say that person A has the same kind of relationship with persons B, C, and D. Suppose that this relationship is friendship. If the relationship between B and C is a friendship, then A, B, and C are a group of three mutual friends. Similarly, if the relationship between B and D is a friendship, or if the one between C and D is a friendship, then you will be able to find a group of three mutual friends. However, if none of these pairs (B-C, B-D, C-D) are friendships, then they must all be strangers. And so, B, C, and D must constitute a group of three mutual strangers. If A is stranger to B, C, and D, then a similar proof holds. No matter what, there must exist either a group of three mutual friends or three mutual strangers. There are seventeen people in a group. Choose one person, named person A. Person A has a relationship with sixteen other people. Each of those relationships is one of three types: friends, strangers, or rivals. Therefore (by the pigeonhole principle), there must exist six relationships which are of the same type. I will refer to this relationship as "rivals", but the same argument holds even if they are friends or strangers. So now we have person A, who is rivals with persons B, C, D, E, F, and G. If any two people out of B, C, D, E, F, and G are rivals with one another, then together with person A, they form a group of three mutual rivals. However, if none of the relationships between B, C, D, E, F, and G are rivalries, then they must all be friends or strangers with one another. But, as we proved earlier, if there are six people who are only strangers or friends with one another, then there must exist a group of three people who are either mutual friends or mutual strangers. So I hope my proof wasn't too hard to understand. You may also see Secret Squïrrel's wording of the proof. If you've ever taken a public city bus, you know that that's where all of life's greatest lessons are learned. As you wait for the bus to arrive, especially when the bus comes late, you contemplate the mysteries of the universe. As you sit (or stand) in the moving bus, in a mostly silent crowd, you ponder what it truly means to be human. Perhaps as a result of my physicist's intuition, I've noted that buses are frequently in an unstable equilibrium. Most buses will either be behind schedule, or ahead of schedule. The bus which is exactly on time exists in a precarious position, and there are opposing forces which threaten to slow it down or speed it up. All it really takes to knock a bus off from this precarious position, this unstable equilibrium, is a red or green light. There are plenty of random factors involved in the speed of a bus, and any one of these could make the bus just a little late, or just a little early. If the bus is just a little late, then there will be more time for people to accumulate at each of the bus stops. Therefore, it becomes more likely that the bus will have to stop to let people board. And the more people who board, the longer the bus must stop. When there are more people on the bus, they will make more frequent stop requests, which take more time. Similarly, if the bus is just a little early, then there will be less people to board, and the bus will go faster. The result is that buses tend to be very late or very early. In fact, it tends to be that if one bus is late, then the bus behind it is early, and the bus behind it is late again. If one bus is late, it starts to pick up passengers who expected to board the next bus. And so the next bus has less people to board, and ends up going faster. Sometimes, one bus becomes so much faster than the bus in front of it, that it will overcome it. Usually, at this point, the buses will stop, and they'll tell all the passengers in the slow bus to switch to the fast bus. The bus drivers must be aware of the positive feedback mechanisms which are at work here. Unfortunately, though there are slow buses and fast buses, you are more likely to end up boarding the slow, crowded bus. The natural laws which govern buses can be unkind, though I prefer to think of them as simply indifferent. If you wish to understand this post, you should probably read my exposition on modal logic first. You may also wish to read my analysis on a much simpler ontological argument. To briefly review the simpler ontological argument: The argument says that we can define God as a necessarily existing being. Therefore, by definition, God exists. However, this takes the power of definition too far. The most we can say is that if there exists an object which we can properly call God, then that object, by definition, exists. If God exists, then God exists. The problem with the argument is that it's rather useless to define God as a being which exists. But hold on! I never defined God as a being which exists. I defined God as a being which necessarily exists. This definition is not quite as useless. We can say that if there exists an object which we can properly call God, then that object, by definition, necessarily exists. If God exists, then God necessarily exists. The letter "g" represents the specific statement "God exists". Note, however, we did not completely define God. In fact, we could replace God with all kinds of absurd objects, and the proof would still hold. This is actually quite a problem for the ontological argument (as well as many other proofs of God). The proof is valid for any statement p as long as p p is necessarily true. For instance, we could replace the object God with "the invisible pink unicorn which necessarily exists" or "a left shoe which necessarily exists". Nonetheless, let's continue onward. I'm going to go through the proof, step by step. You may have noticed that I did not prove what I set out to prove. I only proved g g, which says that if g is possible, then it is true. That's not quite the same as saying that g is true, but it's still something. Now, all we have to do is prove that g is at least possibly true. And here is where the problems begin. All the previous work was purely logical manipulation, and is necessarily true if you accept the axioms of modal logic. I thought the axioms were pretty reasonable, and rejecting them would be too high a price to pay. However, it seems we need another premise, g. To support this premise, lots of arguments have been offered by various people, but I don't think they're nearly as fun or rigorous as the modal logic section. One common argument for g is that g is self-consistent. I can conceive of a God without having any contradictions. Based on my current knowledge, it is entirely possible that God exists. It's possible that God exists, therefore God exists. The problem is that this same argument seems to apply to the statement ¬g. ¬g is a self-consistent statement. I can conceive of a world in which God does not exist without having any contradictions. Indeed, I can conceive of a world where nothing at all exists, where there could not possibly be any contradictions since there is nothing around to contradict. Based on my current knowledge, it is entirely possible that God does not exist. Therefore we can take the premise ¬g. By Theorem 2, we conclude ¬g: God does not exist. Obviously, the premises g and ¬g cannot both be true. Either God exists in all possible worlds, or God exists in none of them. Since we used the same argument for both both g and ¬g, that argument must be fallacious. But where exactly did it go wrong? The error, I think, is in the concept of . g does not quite mean "g is possibly true." In fact, it means "Among all possible worlds, there exists at least one in which g is true." The concept of "All possible worlds" was never exactly defined. In fact, the definition is arbitrary. I could have declared "all possible worlds" to be our world and our world alone, and you never would have been able to prove me wrong from the axioms. I also could have declared "all possible worlds" to be the set of worlds which are metaphysically possible (a rather complex philosophical concept). Under this definition, we would not be able to prove g or ¬g. However, if I had declared "all possible worlds" to mean the set of all worlds which are self-consistent, then we would run into problems. Because under this definition, both g and ¬g appear to be true (unless the concept of God is inconsistent). And they contradict each other. Similarly, if I had declared "all possible worlds" to mean the set of all worlds which are epistemologically possible (meaning, it may be true, for all we know), then we would have the same contradiction. And what happens if we construct a pathological definition of "all possible worlds" such that g is true and ¬g is not true? Then I might question Axiom T, since it is no longer obvious that our world is included among this so-called set of "all possible worlds." And it goes on and on. Well, wasn't it clever, at least at first? I think so. It seemed for a moment that we arrived at a paradox, a sort of 1=2 moment. Ontological arguments tend to be that way. Most people immediately recognize that it is a little too clever, that it proves a statement which is a little too strong to be true. Similarly, most philosophers think that ontological arguments fail, though they may disagree on exactly why they fail. In my opinion, ontological arguments are merely interesting philosophical curiosities. It's rather silly when an apologist actually tries to use one as a serious argument. The campus' official newspaper, The Daily Bruin, had two articles this week about the recently conducted American Religious Identification Survey. Number one is Religion Continues to Thrive in US, and number two is Overly Secular Government is Against Founders’ Intent. The first article is... okay, considering that it is a college newspaper, and the overall quality is low. The article's main point is that though the American Religious Identification Survey showed decline in religious identification, most of the decline occurred between 1990 and 2001, not between 2001 and 2008. These results suggest that contemporary atheist authors like Richard Dawkins are not the main cause of the trend, since the main change occurred before these books were even written. However, aside from the main point, there are several flaws in the article. In particular, Roy Natian told me himself that he felt misrepresented and quoted out of context. However, I'm willing to ignore all that so I can do a thorough fisking of the second article. Religion is under siege in America, when we are in the greatest need of hope that can come only from belief in a higher power. The unfortunate implication of this statement is that atheists do not have hope, or that it does not matter whether they have hope. He makes it sound as if Newsweek is intentionally delivering bad news just in time for a day of celebration. There's a subtle persecution complex going here. The lead article focuses on the new American Religious Identification Survey, which has shown that the number of unreligious Americans has been steadily increasing since 1990. Though the author of the article – Jon Meacham, who is also the editor of the magazine – first attempts to hide behind his own religion – as many closet seculars do – to convince his Christian audience that he is troubled by the statistics in the survey, it is not difficult to see that he is actually gleeful about it. "Closet seculars"? It seems the Daily Bruin writer just cannot comprehend the existence of a Christian who believes in separation of church and state. Funny, I thought it was supposed to be the atheists who oversimplify religion. Like many liberal Americans, [Jon Meacham] repeatedly confuses the idea of separation of church and state with the idea that religion has no place at all in our political system. While insisting that the presence of any religious ideas in government would necessarily “compel or coerce religious belief or observance,” he blinds himself entirely to the pivotal role that faith has in our political system. Contrary to popular belief, there is no reference to “separation of church and state” in the Constitution – it is the invention of people (like the Newsweek author) who want desperately to accommodate the narrow interests of the relatively slight number of non-believers in the country who represent anti-traditionalism – or “progressivism.” According to the Constitution, the only prohibition on government is that it cannot promote the formal “establishment” of a particular religion. Despite the contention of many liberals that we have always been a secular country – which ignores the omnipresence of religious symbols in our government, such as state seals, currency and the Pledge of Allegiance, to name a few – there is no escaping that America was founded by deeply religious men who envisioned that their society would be based on their Judeo-Christian beliefs. My understanding is that some of the founding fathers were deists, a few were anti-clerical, and some were quite religious. It's sort of irrelevant, since they obviously didn't intend for the government to establish their religion. These religious symbols, including the mention of God on our currency and in the Pledge of Allegiance, were mostly added in during the McCarthy era. The founders clearly thought that liberty was a blessing from God. After all, the Declaration of Independence tells us that our rights are “endowed by (our) Creator.” Nevertheless, people continue to assert that the U.S. is not a Judeo-Christian nation but rather one that just happens to be home to many Christians and Jews. The wording of the Declaration of Independence is entirely consistent with Deism, since it only refers to a "Creator". Anyways, the document has no real legal standing. But in a free and open society, how is order maintained if values are not based on a particular faith or book of faith, which protects us from the moral whims of people and culture? National issues cannot be arbitrated if we accept moral relativism. Atheists will proclaim that they get their values from their hearts, but this view is a subjective kind of morality. On what basis could you claim that values based on a sacred text are any better than the accumulated "moral whims of people and culture"? Why do we need protecting from these so-called whims? Just because you think you've found a black-and-white method to determine your values doesn't mean it's correct. Every great question, whether it be abortion, school prayer or even taxation, comes down to the views of the people making the decision. How would they be able to decide these questions if there were no commonly agreed upon standard of right and wrong, as in the Bible? If only we could go back to the good old days when everybody agreed on everything. And there is another problem: If people happen to have religious convictions, should they have to choose between politics and their faith – that is, would they either have to ignore their beliefs or stay out of politics? Two answers: 1) No. It's wrong to exclude people of any religious category from holding office. 2) Yes, if their religious beliefs affect their politics in such a way that they are unelectable. For instance, if you have the religious conviction that abortion should be illegal, and if voters disagree with you, then they are justified in keeping you from being elected. In the end, we have to remember that the disestablishment of religion is just as dangerous as the establishment thereof. The dangers that secularism poses to a free society are historical and manifold – just think, it was the decline of religion in Western Europe that inspired fascism and led to the extermination of millions of Jews. Correlating such broad trends such as secularization and fascism is a pretty sketchy argument. Did you ever hear the one about pirates and global warming? Nobody is arguing for a state-sponsored religion or for one religion to be “compelled” on anyone. Instead, we are only arguing for the preservation of some religious sway in our government that will inform our politics. That should not infuriate nonbelievers, and it would be perfectly reconcilable with the founders’ intentions. No, it does not infuriate me. Secularism, in the context of politics, does not mean political hostility to religion, it means political indifference to religion. Politicians are entirely allowed to make decisions which are informed by their religion. But this does not make them better politicians. It diminishes their capability to represent the diverse views in the US. In 2007, I wrote a post that explained a very simple ontological argument for the existence of God, and why it is fatally flawed. However, ontological arguments are a whole category of arguments for the existence of God. From that point, they only get more complicated and sophisticated. I intend to present an ontological argument which is one step more sophisticated, using modal logic. Modal logic is a system of logic which has incorporated the concepts of "necessity" and "possibility". These concepts are represented symbolically by squares and diamonds and... well, it's a whole lot of fun! There are actually many different kinds of modal logics, depending on what axioms you choose, and what kind of extra concepts are incorporated. However, I will choose a fairly basic set of axioms, and explain them as I go. What we are trying to do here is model the philosophical concepts of necessity and possibility. If we say a proposition is "necessary", that means that it is true in all possible worlds. The world which we happen to live in is one of those possible worlds. Therefore, if a proposition is necessarily true, then it is true. We will take this as an axiom, which I will state symbolically. 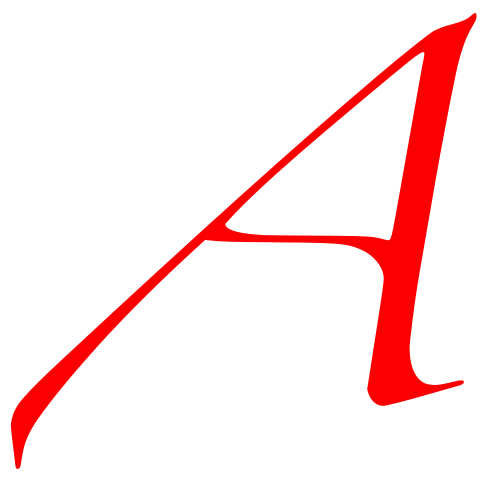 The letter "p" represents a proposition, a statement which is either true or false. "p" could be the proposition "God exists", or it could be the proposition "The moon is made of cheese." When we put a " " in front of the proposition, we are modifying the proposition with the concept of necessity. For example, if "p" is the statement "Snow is white", then " p" is the statement "Snow is necessarily white", meaning that snow is white in all possible worlds. Stated in English, Axiom T says that if a proposition is necessarily true, then it is true. However, it is not the case that if a proposition is true that it is necessarily true. For instance, the statement "I have black hair" happens to be true in this world, however, I may have dyed my hair blue in other possible worlds. Therefore, we cannot say without qualification that p p. However, it is a general truth in logic that the statement "p q" is equivalent to "not-q not-p". (From this point forward, I will replace the word "not" with the symbol "¬".) "¬q ¬p" is called the contrapositive of statement "p q". If any statement is true, then its contrapositive must be true as well. The contrapositive of Axiom T is ¬p ¬ p. Remember, p can be absolutely any proposition, so we're going to replace it with the proposition "¬q". Therefore, by Axiom T, q ¬ ¬q. The sequence of symbols "¬ ¬" may seem like meaningless jargon, but it in fact represents the concept of possibility. Saying ¬ ¬q is the same as saying that there exists a possible world where q is true. It may or may not be the world which we live in, but it's possible. Possibility is such an important concept that we're going to give it its own symbol, " ". As we proved in the last paragraph, p p. This makes sense, since if a proposition is true in our world, then it must be true in at least one possible world, namely, our own. We would like our concepts of necessity and possibility to be properties which pertain to the entire set of possible worlds, not just our own. For instance, if it's possible that dogs exist, then that just means that there exists at least one possible world where dogs exist. Therefore, no matter which of the possible worlds we lived in, we could still correctly state that it's possible that dogs exist. While the statement "dogs exist" may be true in some worlds but not others, the statement "dogs possibly exist" is either true or false in all possible worlds. That is the reasoning behind the following two axioms, known as Axiom 4 and Axiom 5. Another thing we would like is for our axioms to be true in all possible worlds. It would be quite absurd if, for instance, Axiom T was true in our world, but not in others. And so we take this as a new axiom. Applying Axiom N to Axiom T, we could say ( p p). But what useful things could we say from a statement of the form (p q)? The answer to that is our last axiom. This means that if p q is true in all possible worlds, and if p is true in all possible worlds, then q is true in all possible worlds. Definition: p denotes the statement that p is "necessary", or true in all possible worlds. Definition: p, or ¬ ¬p denotes the statement that p is "possible", or true in at least one world. Axiom T: p p "If a statement is true in all possible worlds, then it is true in our world." Axiom 4: p p "Necessity is a property of all possible worlds." Axiom 5: p p "Possibility is a property of all possible worlds." Axiom K: (p q) ( p q) "If p implies q in all worlds, and p is true in all worlds, then q is true in all worlds"
These axioms all sound reasonable, do they not? Using all these axioms (excluding Axiom 4), we will prove that God exists... in my next post.